Truth by Kbaig: Pakistani Nation should get United to Face 4th Generation War!!! Pakistani Nation should get United to Face 4th Generation War!!! 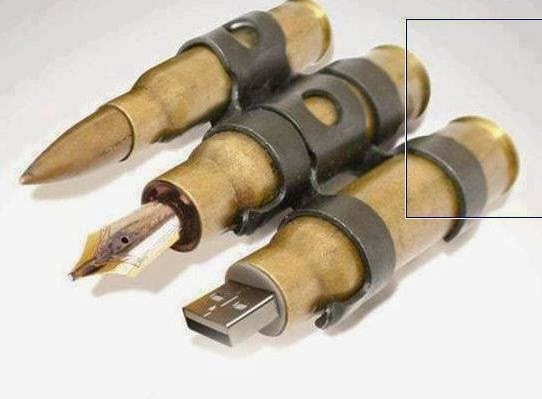 Tools of 4th Generation War??? ‘Pakistan is passing through difficult times’ that is the sentence I have been listening as long as I can remember. But that is only true for 95% Pakistanis. For 5%, it has been a heaven that one could imagine. Some elites has progressed so fast that it is unbelievable, particularly those who have been linked to governing families. Propagating ‘Woes’ of Pakistan have been their political necessity. Following this line, they want to subdue opposition and parties with different viewpoints. When a head of government gives this particular statement, masses of Pakistan do not feel that way. However, informed circles smile at these statement and think how usurper of wealth of Pakistan are trying to fool the nation. This woman wants to know the crime for which she has been punished? However, Pakistan is really passing through most difficult times. All, including 5% elites are experiencing sense of lack of security. People with means are buying bullet proof vehicles and ruling elites having bunker like palaces and assume themselves unbeatable. Lack of sense of security has affected everyone. Due to lack of governance, every day is an ordeal for Pakistanis. Police is there and so is lawlessness. Courts are there and so is the lack of justice. Even indigenous produce is not available for its common man. Hospitals and doctors are there but not the medicines. This is a Muslim nation with lot of mosques but you cannot pray without armed security. Handful elements who want implementation of Shariat with brutal force. They have no hesitation in accepting financial aid including weapons and ammunition from anti Pakistan and anti-Islam forces. They fully know that India and Israel are arch enemies of Pakistan. They also know that continuous lawlessness is weakening defense of Pakistan. Increased extremism may provide western powers a reason to deprive Pakistan of its nuclear capability. In the absence of nuclear capability, the region would be dominated by extremist Hindu India. Pakistan that was gained after untold sacrifices will be dominated by India. How can we explain this nexus of Foreign Elements and TTP Terrorists? The young generation questions the logic of suicide and remote control bombings in the name of sectarianism and Islam. 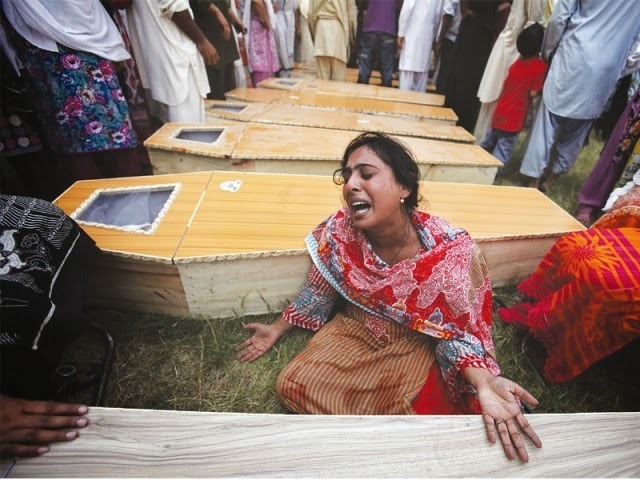 People of Pakistan have been targeted in the name of Lal Mosque and drone attacks. 50,000 people have been killed in these explosions including innocent children, women and aged. Some were killed in mosques, some in markets and some defending Pakistan. The violent groups have proudly owned these senseless killings. However, they have never condemned Indian atrocities in Indian occupied Kashmir against its Muslim population. People are on the edge because government of Pakistan is still confused on action against the terrorists. Government is unable to decide whether to initiate talks or use force. Political parties are unable to agree. Daily discussions on electronic media have added to the confusion where terrorist’s view point is presented as it was a normal discussion between government and opposition parties. People want practical steps to ensure safety of their families. Each province is being targeted differently. 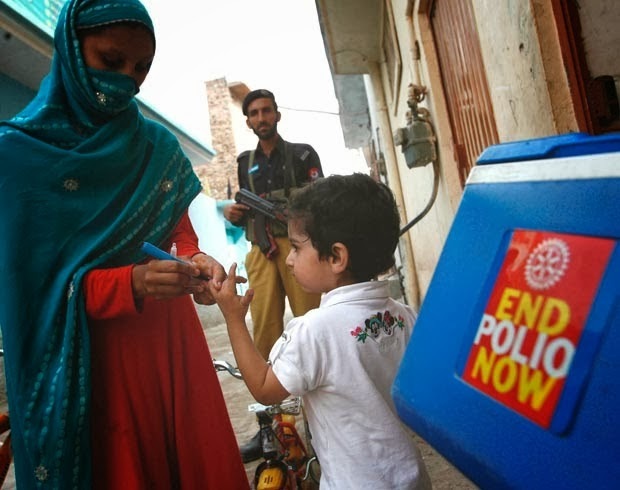 Polio vaccination teams are being targeted. Children are being targeted with toy bombs. Railway lines are being targeted with explosives. Every terrorist has his own reasons; however, aim is only one, to threaten safety of Pakistan. Rest of the job will be done by enemies through fourth generation war. 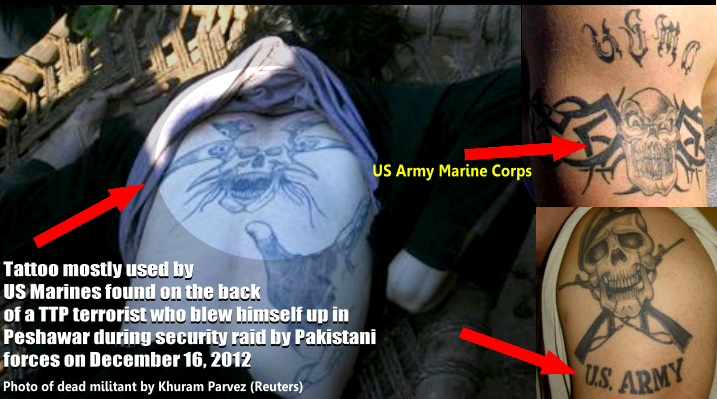 Tattoes over the body of a TTP MUJAHID (suicide bomber) as claimed by Media and foreign elements speak for itself! In my previous article, I had hinted upon fourth generation war. National and foreign experts agree that Pakistan is fighting a fourth generation war. In this form of warfare, army is not attacked directly. Guerilla bands do not enter towns and cities. Society, culture and values are targeted through propaganda. Nation is divided on trivial issues so much that they are unable to agree on single point. Propaganda needs an effective media as a medium. This plan is not made be generals of enemy but by experts of psychology and social sciences. These experts have commanding knowledge of target country who can exploit internal fissures. Incompetent and undeserving individuals are brought in government who destabilize social and economic system of the nation. People do not have power to protest. Opinions are so conflicting that people unwillingly become fuel of this instability. National defense and security agencies are targeted in a way that they are unable to identify perpetrators and their aims. Neither people understand that they are in midst of a war. Enemies have played our internal differences against us. When eradicating Polio becomes a Crime? Are we not victim of fourth generation war? The people have lost their will to protest. They feel unsafe in mosques even in the presence of armed guards. They accept every accident and injustice as their fate. People have accepted terrorist attacks as they have accepted bribery and mismanagement as order of the day. And that is the success for our enemies. We consider that it is the job of defense and security agencies to every kind of war. However, in this form of warfare, every citizen is soldier on frontline and there is no option of retreat as it is being fought right in our homes. 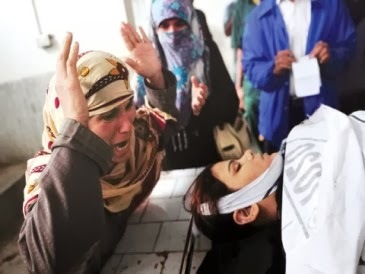 Mother of a Polio Health Worker crying over her daughter's dead body!!! This war can be won. However, it is imperative that nation is united and focused. Our media carries biggest responsibility under the circumstances. Media should highlight ideological basis of the nation rather than towing the line of foreign powers. This all is possible only when we accept the fact that we are at war. Government should take all necessary steps with courage to ensure safety of its people. Religious leaders should promote unity rather than sectarianism and should convey in strong terms that terrorism and terrorists do not have any place in Pakistani society. Either to negotiate or use force must be decided as soon as possible.